Privacy and SecurityFeds Partner With South Carolina Prison for Cellphone Jamming TestTom McKay55 minutes agoFiled to: Cellphone jammersFiled to: Cellphone jammersCellphone jammersPrisonJammersSouth CarolinaWirelessSmartphonesFederal Bureau of PrisonsTechnologyCybersecurity2SaveEditEmbiggenSend to EditorsPromoteShare to KinjaToggle Conversation toolsChange in-article videoGo to permalinkConfiscated cell phones at Broad River Correctional Institution, where the Federal Bureau of Prisons ran a cellphone-jamming experiment in partnership with state corrections officials last week, in 2010. Photo: Meg Kinnard (AP)The U.S. Federal Bureau of Prisons tested cellphone-jamming technology at the state-run maximum security Broad River Correctional Institution in Columbia, South Carolina, last week, the Associated Press reported, in what the Verge noted may be a prelude to state prisons gaining more power to keep incarcerated persons out of contact with the outside world. Jamming is the intentional disruption of radio frequencies to interfere with legitimate communications, and it is generally banned and subject to heavy penalties in the U.S. outside of limited use by federal agencies. According to the AP, Department of Justice officials said the test ran over five days in a housing unit at the prison, with Assistant Attorney General Beth Williams saying that it was the first such joint federal-state test. AdvertisementSouth Carolina Corrections Director Bryan Stirling received special deputy federal marshall status. That gave him the authority to carry out a so-called “micro-jamming” exercise, which is supposed to interfere with communications in a very small area, the AP wrote:Micro-jamming technology was tested last year at a federal prison—where officials said they were able to shut down phone signals inside a prison cell, while devices about 20 feet (6 meters) away worked normally—but a decades-old law says state or local agencies don’t have the authority to jam the public airwaves. The Federal Bureau of Prisons is free to use jamming technology, though the AP separately reported earlier this month it hasn’t been used outside of limited testing. 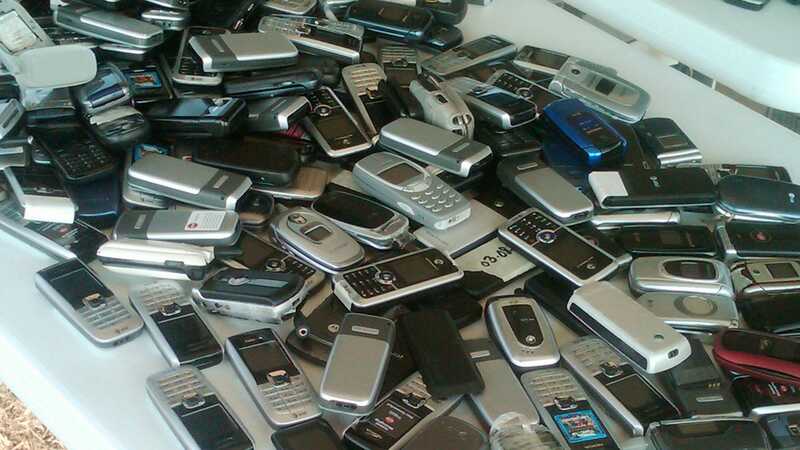 In both federal and state penal facilities, contraband access to cell phones is common, which prison officials have long alleged they need more tools to address. AdvertisementThose officials have cited security concerns like contact with outside criminal elements, saying prisoners could deal drugs, engage in organized crime, or order retaliatory hits on law enforcement and prison personnel. Those behind bars have often alleged it has more to do with protecting lucrative arrangements restricting them to expensive, exploitative phone lines run by private contractors that (at local prisons) can run into the dozens of dollars for 15-minute calls. Does Kim Kardashian Have Any Implants? Are Bradley Cooper and Lady Gaga Still Friends?